Be a part of the place you love! Enjoy the benefits and keep the arts active in New York. We are a non-profit, member driven organization which relies on the enthusiasm and input from our members to determine what programs and services we will provide. Our Board of Directors is comprised of members, elected by their peers who volunteer their time. 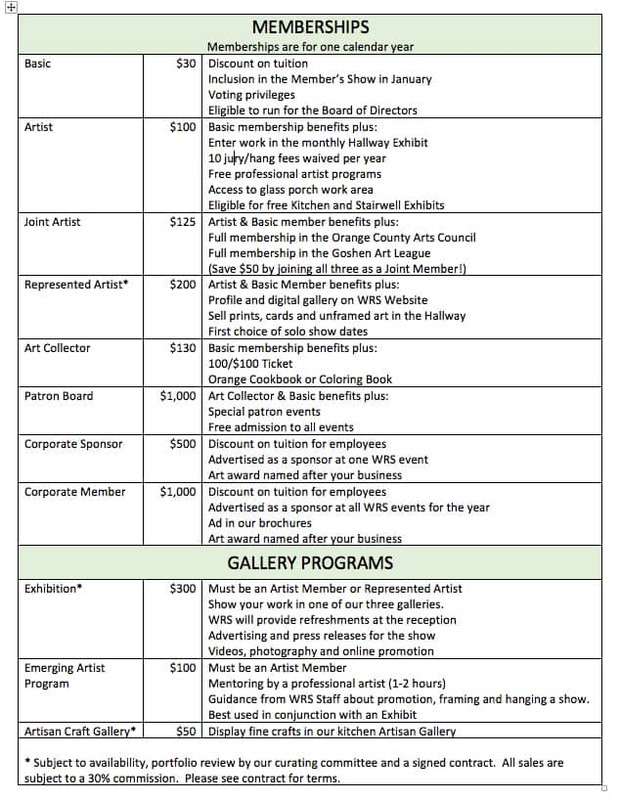 Have a stake in our future, be an insider, support local art, join the Wallkill River School.